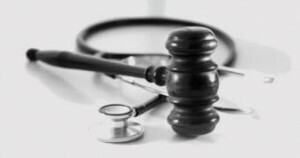 Medical malpractice is professional negligence by act or omission by a health care provider in which care provided deviates from accepted standards of practice in the medical community and causes injury to the patient. Standards and regulations for medical malpractice vary by country and jurisdiction within countries. Medical professionals are required to maintain professional liability insurance to offset the risk and costs of lawsuits based on medical malpractice. James St. Clair has successfully handled claims on behalf of victims/patients who suffered medical malpractice for over 20 ears. Like other personal injury claims, a person who is a victim of malpractice has a defined timeframe to file suit under the law. To consult with our firm contact us immediately to evaluate your claim.